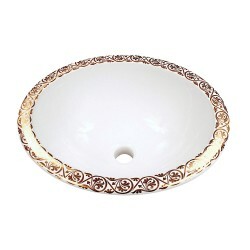 Real metallic gold design of stylized leaves painted on a white under mount porcelain basin. 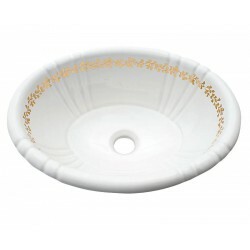 Coordinates perfectly with most vanities, granite and marble varieties. Add something elegant to your bathroom renovation with one of our hand-painted sinks. 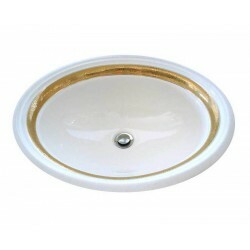 Shown on a 17 x 14" rear drain under mount basin. Can be adapted to many sinks. Visit the Fixture Choices page for options. 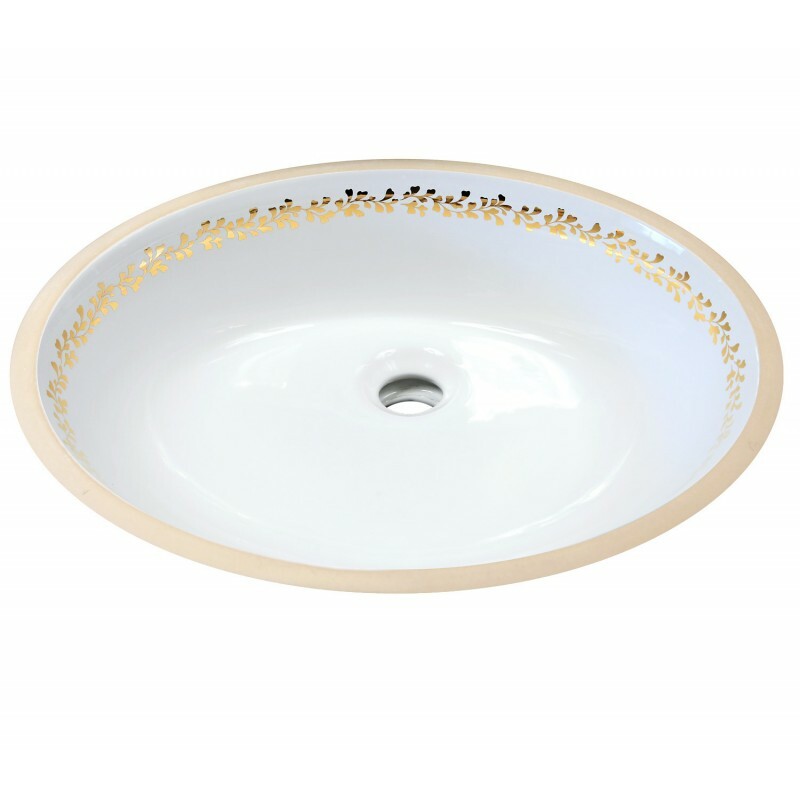 I am so pleased with my painted sink! Guests often comment on how lovely it looks and I couldn't agree more. 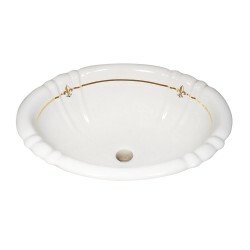 The timeless gold border adds an elegant and unique finishing touch to my classic powder room. After five years, it's still beautiful and I never get tired of it.